SpartanNerd Unboxing and Review…Funko POP! 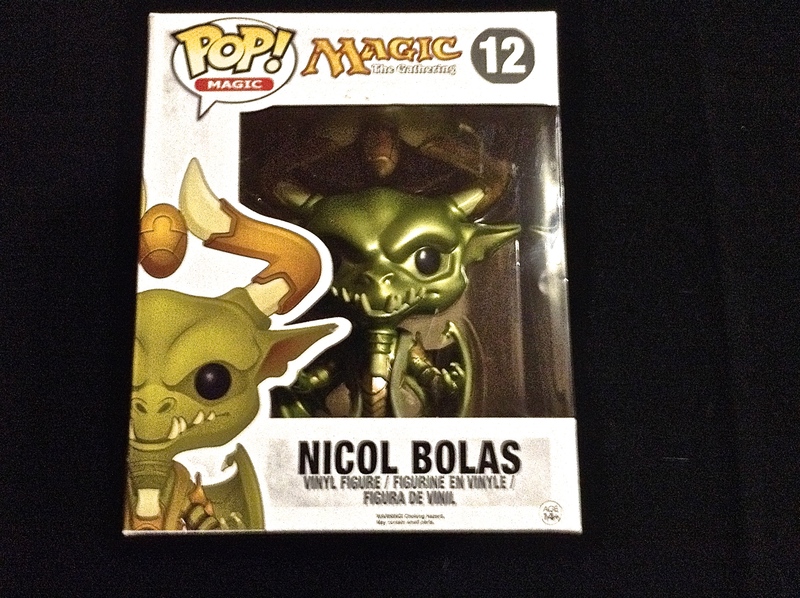 Magic “Nicol Bolas”! The pop vinyl bug isn’t one that has ever hit me. Not that I am against it. It just hasn’t been my thing. Logically, to me, what is the appeal? Super deformed figures with very little articulation and cartoony details. Vinyl pop is kind of the opposite of something like Masters of the Universe Classics or Transformers Masterpiece figures. I was very surprised to open this gift from the SpartanKid…Funko POP! 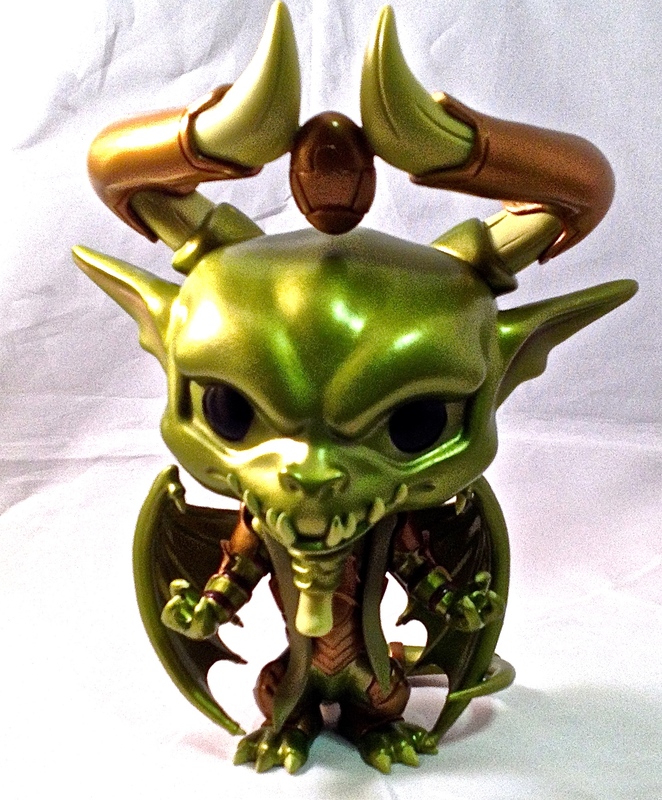 Magic Nicol Bolas. Read on to see if I have changed my opinion! Clearly the people who make this believe their product should be highly displayable in package. The packaging is beautiful. 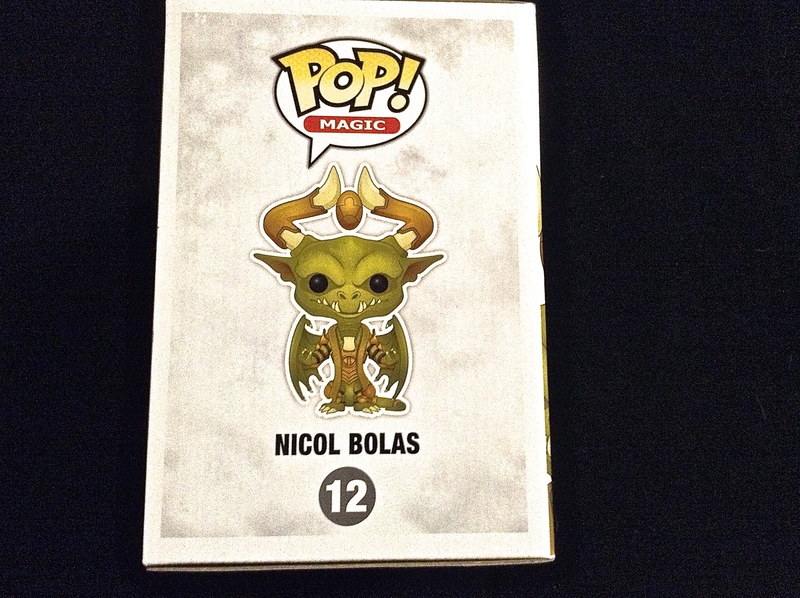 I’m sure the number “12” in the black circle means that Bolas is the twelfth figure in the Magic the Gathering series. (Confirmed by studying the back some more, which shows off Gideon, Tezzeret, Elspeth, and Sarkahn as well). The SpartanKid said that they didn’t have a Liliana, and thought I wouldn’t want a glow in the dark Chandra. (That would have been cool!) The word “PoP! MAGIC!” is all over the place. 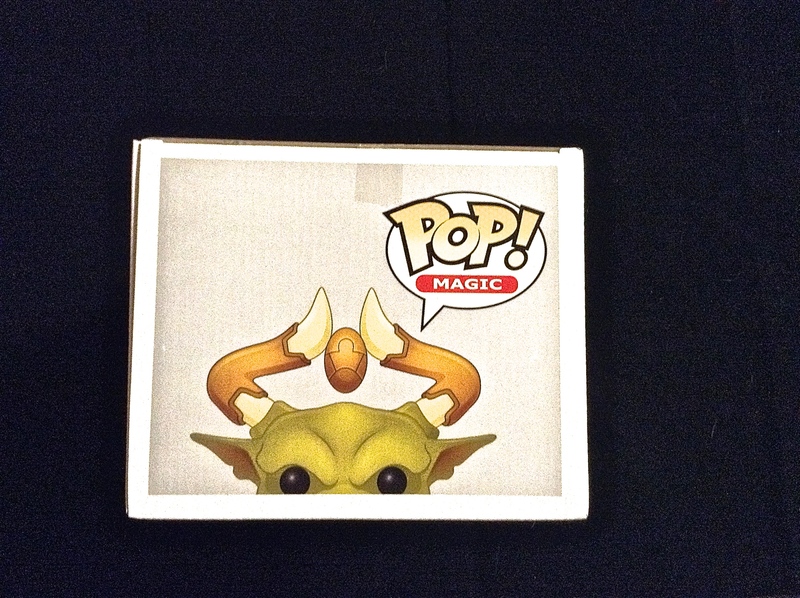 I almost forgot the name of the company was “Funko.” The package has a nice window where you can see Bolas inside, and you can see him from one of the sides as well. The other side has an illustration of the figure, as well as the top, which has an illustration of his eyes and above, prominently featuring his horns and the “Gem of Becoming” in between them. You know, the SpartanNerd just tosses all of the boxes. Still, I want people to know that this is indeed some of the most beautiful toy packaging. You’d think someone from Apple Computers might be involved in their marketing or something! Really, I think of this as more of a statue. It has one articulation point. Its head. So I decided I would photograph it with different colored backdrops. 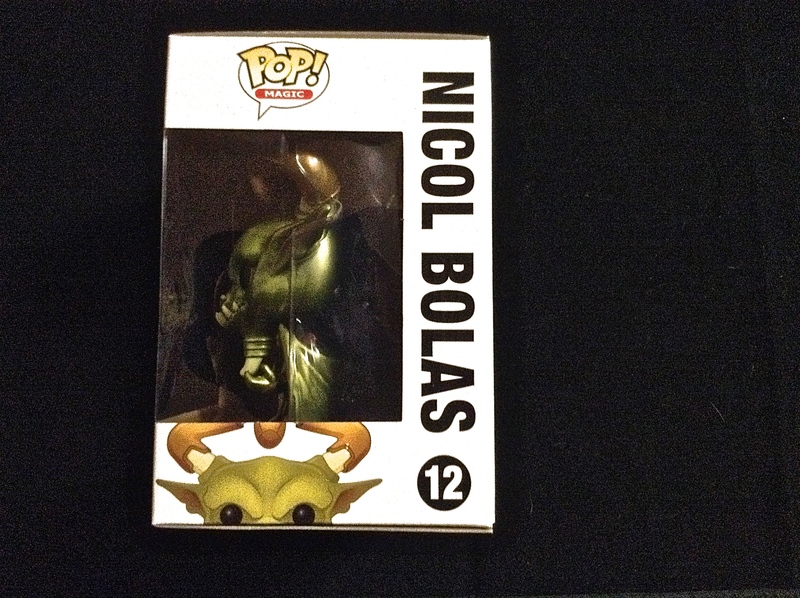 I will be displaying Bolas in my classroom or my office. I expect many other adults who are into Magic the Gathering will do the same. Maybe different colors might show off how he might look in different display situations. First off, red. 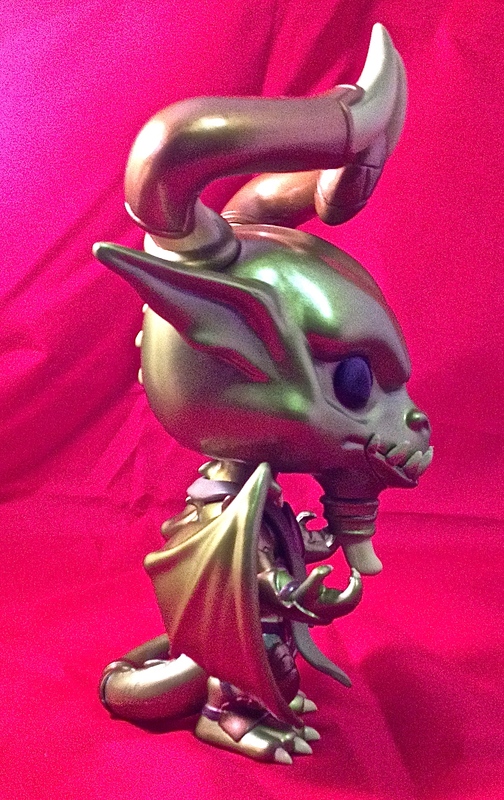 Bolas is quite shiny. Very gold. He is a gold Magic card, after all! (Blue, Red, and Black). His head is big. As big as the rest of his body, measuring from bottom of the goatee to the tips of his horns. His head features a cute toothy grin and black vacant eyes. But these are ALSO cute. He has a cute nose and goblin-esque ears. The other pictures show his side views off a tad more. His wings are not movable, nor his tail. His hands either. 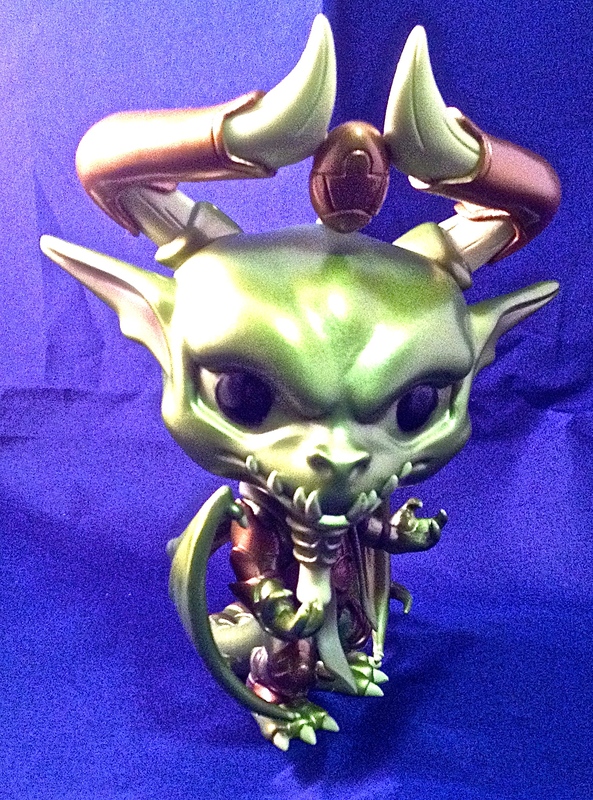 Bolas is considered by many to be THE BAD GUY in the Magic the Gathering universe. So is it wrong to show him in white? I like how the tail curls around the outside of his right wing. Here I will note that the “vest” that he wears is of a softer plastic than the rest of him. Not sure what that is all about. In blue, he feels extra shiny. Like some kind of brass idol or something. Indiana Jones could easily be after this baddy! As much as I think of this as a statue, it is actually fun to chase around the Spartan-family and pets with Nicol Bolas, and saying something absurd like “Tweet Tweet!” or singing “Cruel Ultimatum…” I know my students are going to get a kick out of this thing. Even if they don’t know Magic the Gathering. And he looks good on my Nerd closet shelf beside Skeletor, the Griffin, Spikor, Modulok, Thanos, or whoever, really. This is my first ever review of a product like this. 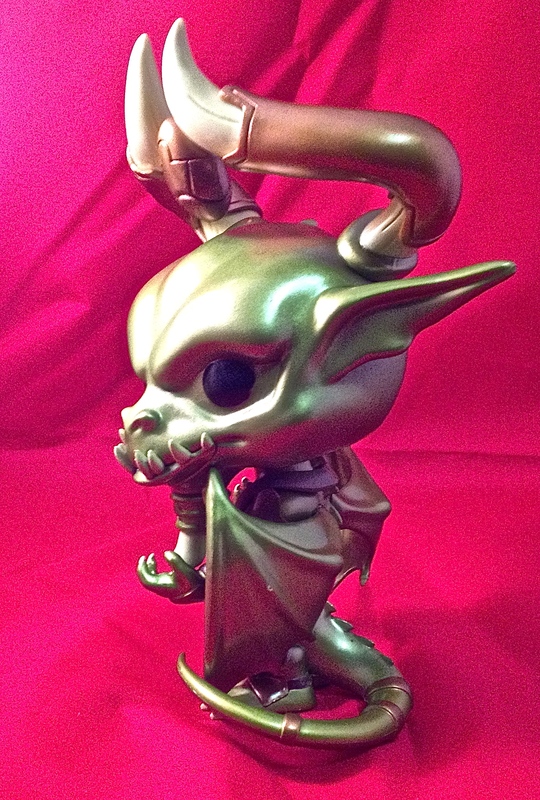 As pop vinyl goes, I think my mind is changed by this guy. I don’t mind him being the most evil creature in fiction, transformed into something from “PowerPuff Girls.” I think it is really cute. Even cool. Maybe I even want some more of these guys. So I am going to give him a 5/5. My mind is changed. There is something light-hearted and different about it. It isn’t as “serious” as MOTUC. Maybe there is a part of me that like that reaction I am feeling. Remember my review of the Mixo He-Man? How about the stuffed Battle-Cat? 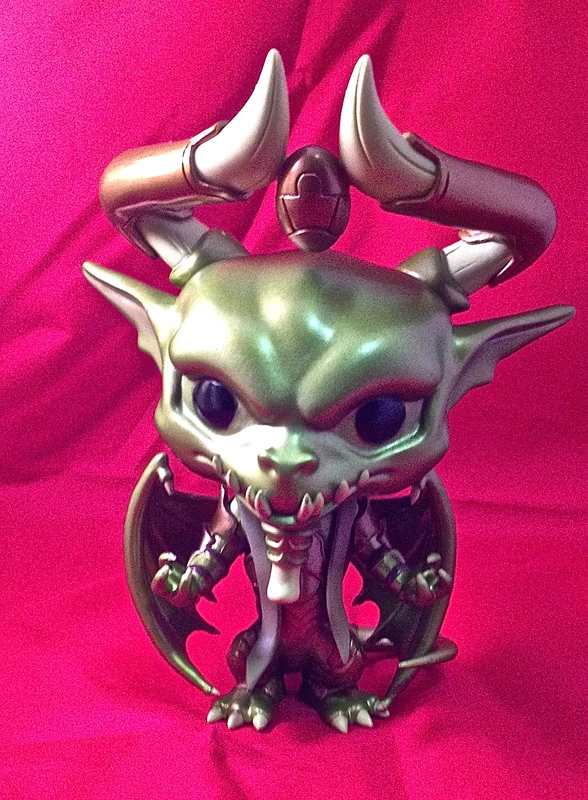 The SpartanNerd rates Funko Pop Nicol Bolas a 5/5. Do you agree or disagree? Let me know in the comments! 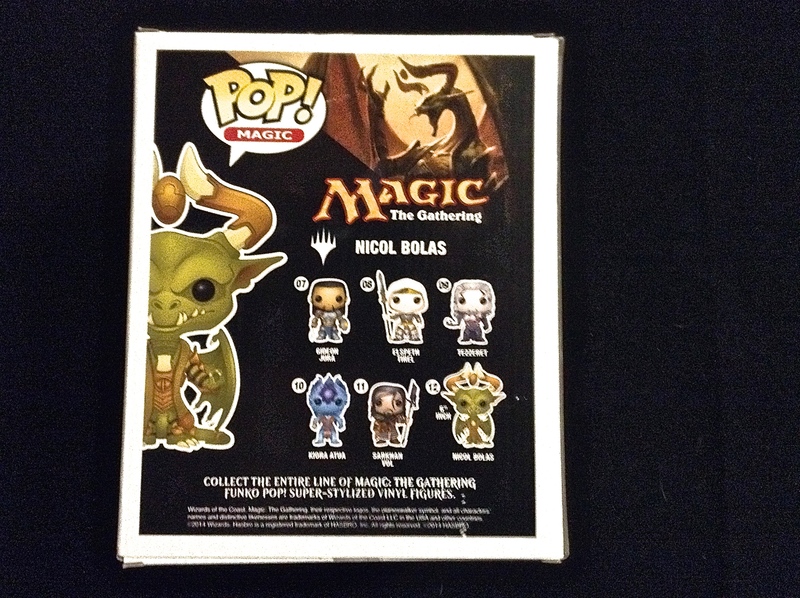 This entry was posted in funko pop, Magic the Gathering, nicol bolas, SpartanNerd and tagged Funko Pop, Magic the Gathering, Nicol Bolas, SpartanNerd Unboxing and Review. Bookmark the permalink.